As I sat and watched E3 this year, I had this nagging feeling at the back of my mind. As each game was introduced and I saw trailers and gameplay footage, this feeling got stronger and stronger. I couldn’t shake it. But I couldn’t quite place it for a while though. Then about halfway through Microsoft’s press event, it finally dawned on me what I was feeling. So I put it in a tweet. If there is one thing I have learned from E3 this year is that gaming is not for me. Non-stop FPS games just have no appeal. As I watched FPS after FPS get trotted out on stage; as I saw game after game which featured online multiplayer as the primary game mode; as I saw violent kill after violent kill displayed on screen, I realized that E3 and the companies that present on stage, are just not all that interesting to me. I saw relatively few games that really excited me. I am not a violent person. Nor do I enjoy violence as a primary component of my entertainment; not books, not television or movies, and certainly not games. I like books about mysteries and adventure. I like thrillers and sci-fi action movies and television. I like games where I am an adventurer more than a fighter. I could never really get into entertainment where violence was the core conflict. It was never fun or entertaining to me. As I sat there during E3, I was bombarded with a majority of violent games. Games where the core mechanic was to kill other humans or stand-ins for humans. Each of these games may have had a different approach to this core mechanic, but the core mechanic was essentially the same. EA, despite all its purchased and wasted talent, showed nothing of interest to me. 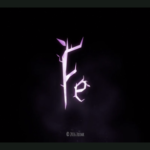 The only game that had me curious was not even an EA game, but an EA published indie game Fe. All other games on display were either non-existent (Mass Effect: Andromeda, Star Wars) or a FPS. Bethesda actually fared worse as nothing they presented was non-violent or interesting, except a card game. I am not real big on collectible card games. Microsoft sparked some interest with me on a technology level. 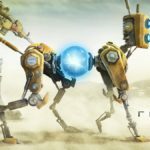 Yet, when it came to games, the only game I came out of the show excited for is Recore. Tekken 7 actually sparked some interest for me, but it wasn’t the fighting mechanic that did it. It was the story mode. Sadly, one of the few games I was excited about after E3 2015 was killed on the vine for me when Sea of Thieves was announced to be an online multiplayer game rather than a single player game. Ubisoft left me with only two, possibly three, games to look forward to. Grow up and Steep had a lot for me to look forward to. Grow Up resembles the kind of indie game that I really like to play. It is quirky and bright and fun looking. 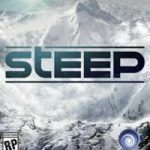 Steep is just something cool as it presents extreme winter sports, something I have never been able to experience in real life. I liked the SSX games and feel this could be a big improvement on that series. Then there was Watchdogs 2. The gameplay they showed was more stealth and non-lethal than most games on show. However, I really had no interest in the first one, so I am not as interested in it as I am other games. Sony had probably the largest number of games to look forward to. 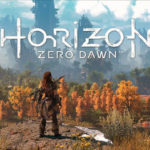 Horizon Zero Dawn is right up my alley with its hunting and crafting mechanics. It is the kind of adventure game I like to play. Detroit Become Human looks like it is going to be a Blade Runner styled investigative game that seems to blend sci-fi and police investigative drama fairly well. I want to see more of what that game has to offer. While I know little of The Last Guardian, I am curious to see more and find out if I will like it. Finally, Spider-man is something that if done right could be an awesome game. We also had a look at Lego Star Wars The Force Awakens and an announcement of the reboot of the Crash Bandicoot series. Both are game series I enjoy and I am excited to see a further expansion of these games. Finally, Nintendo had a number of cool games. The new Zelda game is pretty much everything I look for in a game, exploration, adventure, puzzle solving, etc. I have always been a fan of the series and look forward to this new one. They had several other games that I want to play too. 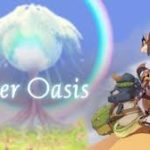 Ever Oasis, Dragon Quest 7, Axiom Verge, and Jotun: Valhalla Edition all have variations of game mechanics and story elements that I love to play. Nintendo certainly has the largest of proportion of games that catch my interest of any studio at E3. If I look over all the games that I am actually looking forward to or interested in, it is a small minority of the games presented at E3. As I tweeted during E3, the games I am most looking forward to are mostly from indie developers. Cosmic Star Heroine from Zeboyd Games, Defenders Quest 2 by Level Up labs, Gnomes vs Faries by Prismic Studios and more that I can’t think of at the moment. So, what is a gamer like me to do with E3? I haven’t quite figured that out. I am still very interested in the industry and the games these companies put out, I just don’t play many of them. Perhaps E3 and the industry will evolve over the course of the next decade and things might be more interesting then. But for now, I think I will need to just keep being picky with my choice of games.